other information Self-published, 2011. Recorded in Portland, Oregon. 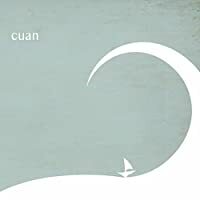 Released on 26 September 2011 according to <http://colleenraney.bandcamp.com/album/cuan> viewed on 4 March 2012. Post-publication liner notes can be found in various blog posts at . Not indexed here: track 4 (Bound for Caledonia), track 10 (Annachie Gordon), track 11 (Lads of the Fair).